flespi platform uses REST API as a standardized and reliable way to transfer data over the Internet. REST defines common rules to formulate unambiguous and complete HTTP-requests from client to server. The main idea behind REST is clarity — the action to be performed is apparent from HTTP-request method, URL, and optional parameters. An alternative to receiving platform event messages via REST API is MQTT API. You can control API access using token ACLs. How can I start using flespi platform API? Log in to flespi.io with one of your social accounts and go to the Documentation tab. Documentation is interactive — you can build a REST API request, execute it by clicking “Try it out” button, and view the response from the request description page. How to perform a REST API call? What does the REST API call consist of? Method is a one-word HTTP-request attribute telling what kind of maniulation will occur. HTTP/1.1 standard includes 8 methods, however REST uses 4 of them. It consists of header name “Authorization”, keyword “FlespiToken” to state that request addresses one of flespi services, and token string provided to the flespi client after successful registration. How to use Authorization tokens? Token is an identification string added to REST API request to inform flespi platform on who is the author of the request. Manage tokens on Tokens tab in your personal account and with flespi platform API. You can manage API tokens restrictions using Access control lists (ACL). Also check our video tutorial on how to create a flespi token. What is the structure of response to the API call? 200 – OK. Result of requested actions is in response body. 400 – Incorrect parameters. This means that not all required parameters were included or some parameters are invalid. 401/402 – Authorization problems. 401 code means that “Authorization” header is missing and 402 code means that pointed token has insufficient permissions. Response body — a JSON-object with 2 fields: result and errors. result is a JSON-array of instances successfully modified by REST API request, including fields listed in fields request variable. errors is a JSON-array of error instances. Why do I get code 200 but the result is empty? empty result list means that there is no channel called “test”. Why do I sometimes get code 403? Code 403 means that the platform blocked the token or the customer. The most likely reason is exceeding the limits: too many API requests per minute, too much traffic from devices, too many connections to the channel etc. See the complete list of limitations here. How to use selectors in the request URI? How to read messages from my device connected to the flespi gateway channel? Messages in a channel are stored in a sequential bucket called abque — asynchronous batch queue. Thus, messages have to be read sequentially beginning from the most recent. “Get messages” request will return next_key parameter to use in the next request. An alternative to the REST API in receiving platform event messages is MQTT API. If you want to view messages from devices in UI-mode you can use a Toolbox. Can I specify the ID manually when creating an object? No, the system automatically assigns ID to a newly created object. Use "name" property to easily find and use platform objects. How can I check that my device is connected to flespi gateway? Connections from devices to flespi gateway can be operated with gateway connections section. You can view active connections with GET request, close specified connections with DELETE request. Connections can also be reviewd and deleted in UI mode in channels card. 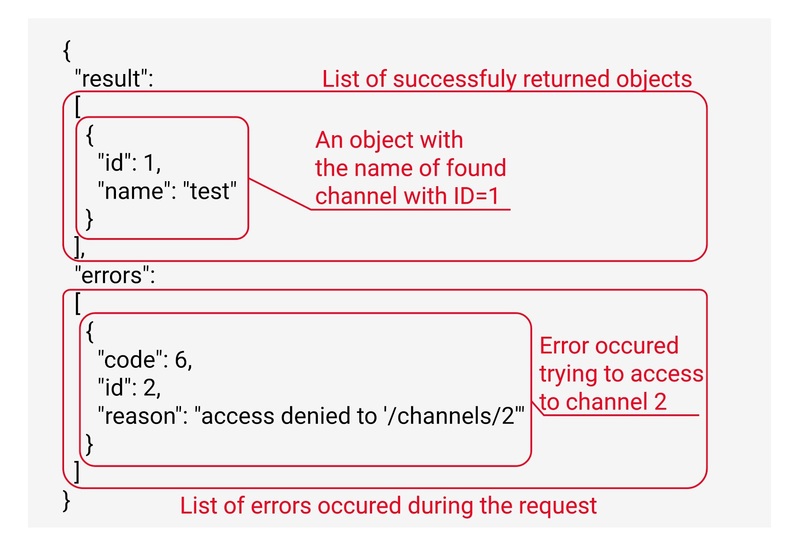 All new connections are also included in the channel logs available from channels panel and via REST API. What is the difference between flespi storage containers and abques? A container represents a simple key:value database where a key is a 32-bit unsigned integer and a value is a custom JSON object. Abque is short for "asynchronous batch queue" which is a queue-type storage. A message is a JSON object with any set of custom fields of up to 8MB in binary size. Abque is designed for multiple-writers/single-reader mode. To get more understanding about storage types see the blog article about flespi storage.